This Pearson 35 has no centerboard and appears to have been originally built and commissioned to be a shoal draft boat (3′-9″) exclusively. This boat would make an ideal ICW, Barnegat Bay, or Bahamas traveler with her Shoal Draft and 3 Blade Prop driven by the 30 hp Yanmar. Much of the boat’s interior has been redone, refinished, or refurbished with a new pedestal salon table, for example, and the main salon portlights have been updated to exterior mounted acrylic lenses with bamboo interior trim, and no leaks!!! Stable is the word that comes to mind when you first step aboard this classic full keel sloop. 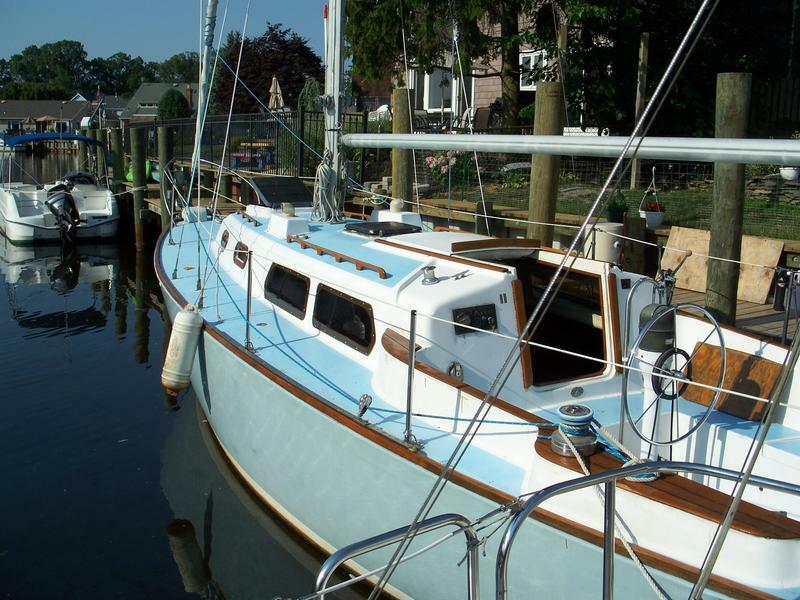 This great boat really needs a new home, I have recently repowered my other sailboat and will consider all reasonable offers.